On February 12, 2015, employees of the Sierra Springs Sobeys Liquor Store in Airdrie expressed their democratic and legal right to vote for a union at their workplace. All employees that were eligible to vote did so under the supervision of the Alberta Labour Relations Board, in a secret ballot vote. Normally, at this time we would announce the results of this vote, and with the workers having voted in UFCW Local 401 as their union of choice, have now begun the negotiation process to win a fair union contract for our members. However, the addition of the assistant manager to the voter list at the Sierra Springs location has caused the Labour Board to seal the ballot box until remedy is found at hearings to be held in the first week of March. At the Airdrie store, the Board has ruled that the assistant manager of this location should not be included with the rest of the workplace, given their managerial title. Local 401 disagrees with the findings because, as we will argue to the Board, the assistant manager did not exercise managerial functions before the initial application by Local 401 was made to the Board to unionize workers at this store. Back in early January, employees of the Airdrie location expressed interest in being represented by Local 401, and that interest expanded to the assistant manager of the workplace. Once Local 401 applied to gain certification at this store, the Labour Relations Board looked into each of the employees, as well to their roles in the workplace. Whether or not an assistant manager of a location is included in the bargaining unit and allowed to vote on union issues depends upon the job description and other information that is given to the Labour Board by the employer before the vote. Every store and location is different when it comes to this level of management, for example, Superstore assistant managers are not included in the bargaining unit, but they are in Safeway locations. If the union or the employer does not agree with what the Board initially rules in this matter, they have the ability to challenge the findings at a scheduled hearing, which Local 401 will do in early March. The union and Sierra Springs workers will go in front of the Labour Relations Board to argue that this assistant manager should be included with the rest of the staff to have protection under the Labour Relations Code, as well as a fair union contract. Following the hearing, the ballots will be counted, and the decision will be finalized as to whether or not this workplace is unionized with Local 401. In the meantime, workers should know their issues are being resolved and even without a union contract, workers are protected under parts of the Labour Relations Code and do not have to be in fear of unfair terminations or intimidation. 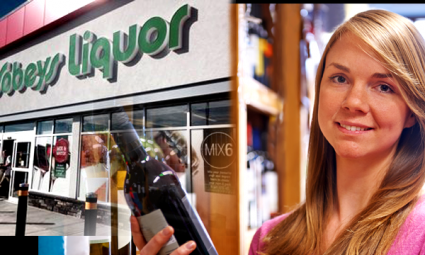 If you would like more information about how your Sobeys Liquor Stores can join a union, contact Local 401 Union Organizer Joe Irving confidentially at 403-803-4270 or at jirving@ufcw401.ab.ca.